The holiday package delivery time is in full swing for carriers like UPS and Fed EX. UPS expects this to be one of the busiest years ever for them, with an expected 750 million packages shipped over the Christmas holiday. That is a lot of boxes, people! All over the news we are hearing of the horrors of driving for these companies, with stories like this one where an Amazon delivery man actually pooped in someone’s driveway and drove off. Many other stories have come out about the carriers practices causing drivers to work long hours with no breaks and practically having to speed every where they go to make deliveries on time. As a result, we have seen a huge increase in the number of accidents involving drivers of UPS, Fed Ex, Amazon and the like over the last few years. According to the Federal Motor Carrier Safety Administration website, in the 24-month period prior to December 3, 2017, UPS drivers were reported to have been involved in 2,003 crashes, 689 involving injuries, including 49 deaths. Since 2012, the number of crashes has increased by 38%; the number of injures has increased by 27%; and the number of fatalities has increased by 25.6%. Those may seem like crazy high statistics, but wait until we get to FedEx. Their numbers are astronomical. Also according the Federal Motor Carrier Safety Admnistration, in the 24-month period prior to December 3, 2017, FedEx Express drivers were reported to have been involved in 1762 crashes, 575 involving injuries, including 41 deaths. Since 2012, the number of crashes has increased by 254.5%; the number of injuries has increased by 192%; and the number of fatalities has increased by 273%. 273%! That is awful. If you or a loved one has been involved in an accident with a FedEx or UPS driver, then you need to speak to and hire an attorney to help hold these companies accountable for their actions. They are pushing their drivers to the limits and causing serious safety concerns for travelers during the holidays. According to holiday travel experts, 107.3 millions Americans will be traveling over the holidays, with much of that accounting for traveling by vehicle. With all the UPS and FedEx trucks running around, you can be sure that there will be some accidents. If you are traveling this Christmas, stay safe. 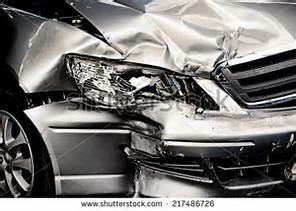 If you are hit by a commercial vehicle, call Guest and Gray, P.C. and let us fight for you. (972) 564-4644. If you have been injured in an accident involving a UPS, FedEx or Amazon delivery vehicle in the Dallas, Kaufman or Rockwall county areas, or anywhere in the State of Texas, you need to call the trusted personal injury team at Guest and Gray, P.C. Our firm is the largest and highest rated firm in both Kaufman and Rockwall counties. Our personal injury attorneys are caring, trusted and local. We pride ourselves in hard work and results.